The Sir Robert Carey novels by PF Chisholm came into my life many years ago, before I ever published a book. Without a doubt, they are among the books I’ve read that I genuinely wish I had written myself. They are a witty, intelligent, historically accurate and superbly crafted series of historical detective stories based around Sir Robert Carey, cousin to Queen Elizabeth, who was a real person and who wrote a charming autobiography, which brings his character to life extraordinarily well. PF Chisholm has taken the real Carey and enlarged on what we know of him, creating a dashing and entertaining hero. 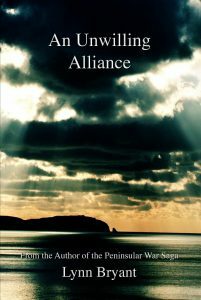 Carey is courageous, witty and shrewd; a courtier who is very at home on the wilds of the Anglo-Scottish borders. He is also vain, hopeless with money and often self-centred, faults which do not detract one whit from his charm. The novels enact a series of historical crimes in need of solving, while taking the reader step by step through the genuine events of the time. Chisholm weaves fact and fiction together seamlessly so that when I go away to check what is real and what is fiction, I am often surprised. Carey’s exuberant personality is set against a marvellous collection of secondary characters. Foremost among these is Henry Dodd, his dour sergeant, who after a few books has moved into the limelight as a central character himself. We follow Carey’s agonising love affair with Elizabeth Widdrington, who is married to a brutal husband and trying hard to remain faithful as well as his affectionate relationship with his sister and the ups and downs of his friendship with Dodd. 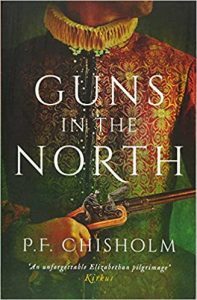 PF Chisholm is the pen name of Patricia Finney who has written a number of other books, all of them excellent. But the Carey books remain my favourites. 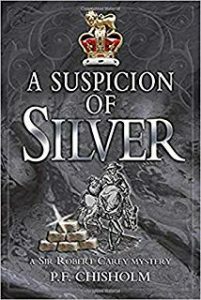 The latest one, A Suspicion of Silver, is out this month, but for those who need to catch up, the earlier books have now been issued in several omnibus editions, Guns in the North, Knives in the South and Swords in the East. For anyone looking for a Christmas gift for a book lover, these are a real treat. 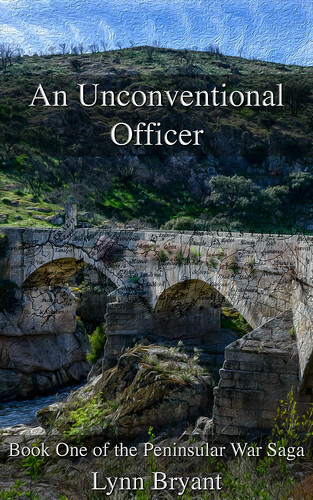 I recently re-read the early books in this series, and I feel bound to confess that without intending it, there is something of Sir Robert Carey in the hero of the Peninsular War Saga, Paul van Daan. There is something about Carey’s flamboyant personality which appealed to me, and although the characters are also very different, I suspect there are places where I am channelling Carey when I write, which is probably a tribute to Chisholm’s brilliant characterisation. The Carey mysteries are one of the few series of which I have never grown tired. I love the characters, but it’s more than that; each novel is a genuine story in its own right, intricately plotted and well written. All lovers of historical fiction, detective stories or just a very good read, should give them a try. I wrote a Peek into the Future, which is the imaginary obituary of Paul van Daan recently for a guest blog but ended up using something else. I enjoyed it and wanted to share it with my readers, although I found it surprisingly painful writing about the death of one of my all time favourite characters. You must already have heard the sad news officially, but I wanted to write to you myself about Grandfather’s death. It has been a few weeks now but most of us are still finding it hard to believe he is gone. I enclose a cutting of his obituary from the Times which is very flattering about his long and distinguished career. The Times regretfully announces the death of General Sir Paul van Daan, Colonel-in-Chief of the 110th Light Infantry and Governor of the Craufurd Officer Training College. Sir Paul died peacefully at his home in Leicestershire after a short illness. He was eighty-five. Sir Paul’s long and distinguished career began in 1802 when he joined the 110th foot as ensign and then lieutenant. He fought with great courage at the Battle of Assaye the following year and was promoted to captain by General Wellesley and then to major in 1806. Sir Paul is best known for his service during the long years of the war against Bonaparte. He served in Naples and Sicily and then in Denmark but came to prominence in the Peninsula under the late Duke of Wellington. 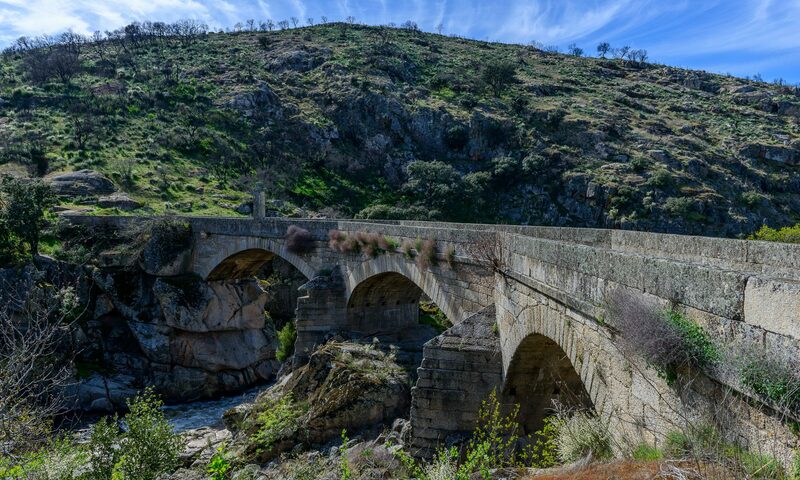 He fought at Rolica and Vimeiro and at the famous victory at the Douro his men had the honour of being the first to cross the river. He was wounded at Talavera but remained in Portugal and was promoted to colonel-in-charge of the regiment in 1810. From 1811, Sir Paul commanded the third brigade of the famous Light Division. Further battle honours include Bussaco, Sabugal, Fuentes de Onoro, Ciudad Rodrigo, Badajoz, Alba de Tormes, Vitoria, the Pyrenees, Bidassoa, the Nivelle and Toulouse along with many minor actions. He was wounded several times but his sense of duty always took him back into the field. He was known to be a close friend and confidant to the late Duke, who placed him in charge of a division at Waterloo. At the close of the war, Sir Paul remained with the Army of Occupation in France. His later career took him to Africa and India. When he retired from active service, he took charge of the newly established Craufurd College for the training of light infantry officers, a foundation which he helped to set up, and of which he remained a dedicated patron until his death. He was an active supporter of many charities and served on various boards and committees pertaining to the armed forces. He was well known for his vocal opinions on the need for army reform, in particular with regard to conditions of service and the abolition of flogging. Sir Paul is survived by his devoted wife, Anne, six children and eleven grandchildren. Two sons and four grandsons followed him into the army. The funeral will be held at the regimental chapel in Melton on Friday next, and there will be a memorial service in London later this year, date to be announced. Her Majesty the Queen sent a personal message of sympathy to the grieving widow. You will be glad to hear that he was not ill for long, a winter cold which turned quickly to bronchitis. He died with Grandmamma beside him which is exactly what he wanted. I must tell you of the funeral which was so well attended there was not room in the church for them all. You would not have thought it a time for laughter, but laugh we did. Lady Denny was there, draped in so much black you’d have thought her the widow, and came up to our party afterwards to speak to Grandmamma. She went on and on about my Grandfather’s virtues and then at the end she spoke of the Duke in the most familiar way, as though she had known him personally. “It must console you, dear Lady van Daan, to think that such two good friends are reunited at last,” she said, in such a syrupy voice. My grandmother looked at her very hard for a moment. Write soon, cousin. I miss you. Book 5, An Untrustworthy Army is due for publication in August 2018. 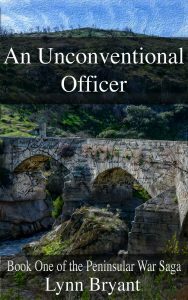 An Unwilling Alliance, due to be published in April 2018 is a novel of the Copenhagen campaign of 1807 which is set within the timeline of An Unconventional Officer. Wellington had initially taken up a reasonably strong position on the line of the Dos Casas, a tributary of the Agueda River. Although the stream itself was insignificant, the section in front of the Allied left ran through a significant ravine that would effectively prevent any French attack on this part of Wellington’s troops. His right was not as strong. As the Dos Casas climbed into the hills the valley was less pronounced and provided less protection. The British position ended at the village of Fuentes de Oñoro, which climbed up from the river to the top of the ridge, and was itself a very defensible position. To the south, however the ravine disappeared and it would be very possible for the French to outflank the British. With his troops in preliminary positions, Wellington summoned the three light division commanders. “If we get time,” Paul said. Beckwith gave a splutter of laughter, and Paul glanced at Drummond and saw that he was smiling too. He turned his gaze back to Wellington and for the first time during the briefing there was genuine amusement in the blue grey eyes. 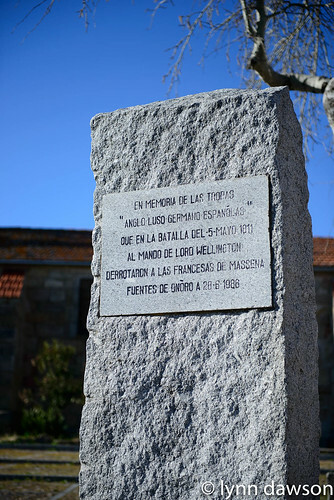 The battle of Fuentes De Onoro took place at the beginning of May 1811. After the retreat from Talavera in 1809 and then the successful battle of Bussaco in 1810, Wellington had kept most of his army behind the lines of Torres Vedras and used the time to train and recruit and recover from the mixed fortunes of the Spanish campaign. The exception was the light division under the brilliant but irascible General Robert Craufurd, who spent the time guarding the border, constantly engaging the enemy in skirmishing, holding the line with men who were fast becoming the acknowledged elite of Wellington’s army. Marshal Massena, unable to breach the formidable Anglo-Portuguese defences and unwilling to risk too many of his men trying, held on desperately in lands scorched and left bare by the retreating British. By early 1811 it was clear that he could hold out no longer. His army was starving and exhausted and the reinforcements he had asked for were nowhere in sight. It was time to retreat. 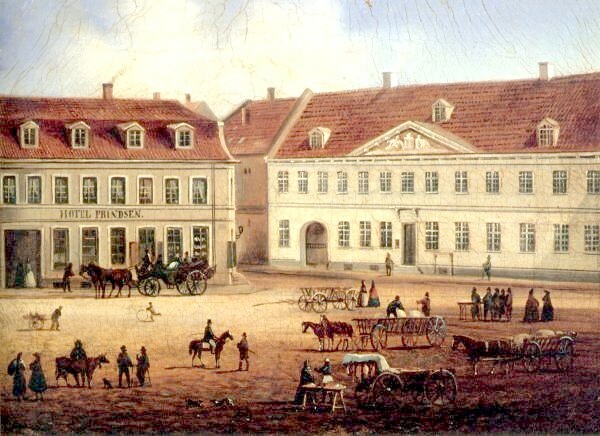 Initially, Massena hoped to make for the Mondego valley which had escaped Wellington’s scorched earth policy and where food might be found for his starving men. But the Anglo-Portuguese army were in hot pursuit and no way could be found across the river in time. Fighting a skilful and desperate rearguard action, Massena retreated back to the Spanish border. 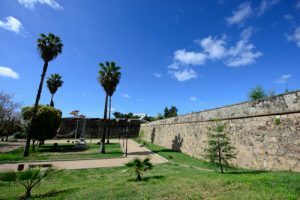 There were several great fortress towns along the Spanish-Portuguese border and in order to plan and execute an invasion of Spain safely, Wellington knew he needed to take possession of all of them. 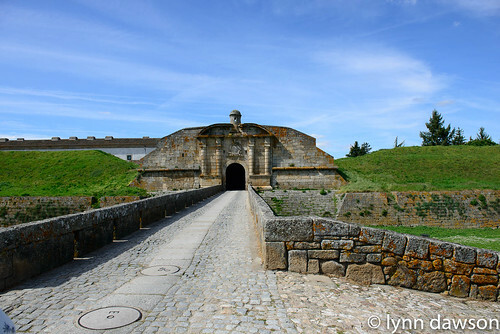 The most formidable on the Portuguese side was at Almeida, and it was the last stronghold in Portugal held by the French. Wellington besieged the city and Massena, his army finally fed and beginning to recover, marched to relieve it. Having surveyed the ground, Wellington chose to take up a position along a line running through the little Spanish village of Fuentes D’Onoro. Supplies were crucial in this stage of the conflict. The French would have limited access to supplies whereas Wellington was well supplied and could hold out longer. He had the choice of leaving his line of retreat exposed in order to cover all routes to Almeida or of covering his retreat, which was usually his preferred option but giving the French a possible way through. Fuentes D’Onoro was a cluster of buildings on a slope with narrow cobbled streets and walled gardens. It was well known to the men of Craufurd’s light division who had often been quartered there during their time on the border. Many of the villagers were known personally to them. With the people evacuated to a refugee camp, the British took up their positions. The Anglo-Portuguese army had 34,000 infantry, 1,850 cavalry, and 48 guns, while the French had 42,000 infantry, 4,500 cavalry, and 38 guns. Massena had asked for reinforcements from Bessieres in the north, and Bessieres had come himself but with so few men that the reinforcements were pointless. Wellington commanded six infantry divisions, Charles Ashworth’s independent Portuguese brigade, and three cavalry brigades along with some artillery. 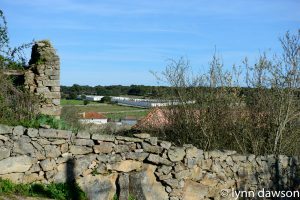 On 3 May, Masséna launched a frontal assault against the British-Portuguese pickets holding the barricaded village, while bombarding the British-Portuguese on the heights east of the village with heavy artillery. The battle in the centre of the village went on throughout the day, with French soldiers of Ferey’s and Marchand’s divisions clashing with the British 1st and 3rd Divisions. At first, the British-Portuguese were driven back under immense pressure, but a charge that included men of the 71st Highland Light Infantry reclaimed the streets and buildings lost earlier in the day. As the sun went down, the French withdrew and the village remained in British hands, with the former suffering 650 casualties against only 250 for the British. Both sides spent 4 May recovering their dead and wounded from the streets of the village. An informal truce was held and men from the two armies met across the Dos Casas brook to exchange food and tobacco and play card games. When officers intervened, the French organised a series of intimidating parades to impress their enemy. The English played football. Meanwhile, French reconnaissance had discovered Wellington’s weakness. Fuentes de Onoro looking up from the French position. 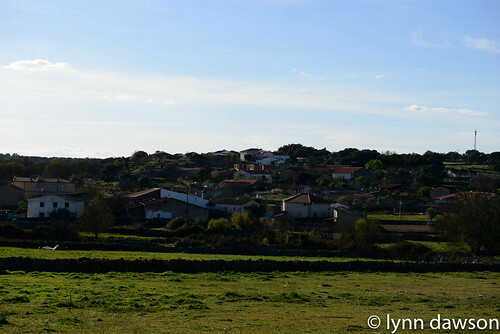 His right flank was weakly held by a unit of Spanish partisans near the hamlet of Poco Velho. The French attacked at dawn on 5 May, concentrating on Wellington’s right flank where the Spanish crumbled. Allied cavalry held their positions with great courage but the 7th Division was left exposed. Masséna launched a heavy attack on the weak British-Portuguese flank, led by Montbrun’s dragoons and supported by the infantry divisions of Marchand, Mermet, and Solignac. Two 7th Division battalions were badly mauled by French light cavalry and Wellington needed to send reinforcements to save the 7th Division from annihilation. Defeat looked possible, but Wellington had reserves in place and he sent in Robert Craufurd’s light division along with British and German cavalry. On the threatened British-Portuguese right flank, the elite Light Division, well supported by cavalry and artillery, made a textbook fighting withdrawal. With very few casualties, they covered the retreat of the 7th Division and fell back into a stronger position selected by Wellington. During the retreat, whenever French artillery ventured too close, the British cavalry charged or feinted a charge. This allowed the infantry time to retreat out of range. If the French horsemen pressed the outnumbered British cavalry back, the British-Portuguese infantry formed squares and, their volleys drove off the French. 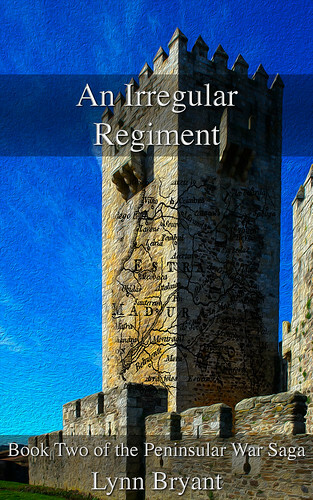 It was an extraordinary display of military discipline and precision and a tribute to the genius of Robert Craufurd, who for all his reputation of a rude, over-sensitive disciplinarian who was disliked by many of his officers, could do anything with his enlisted men, who would follow him to hell and back for a word of approval. The skill of the light division and the courage of the highly outnumbered Allied cavalry saved Wellington, who had undoubtedly made mistakes that day, from what might have been a defeat, and brought instead a victory. 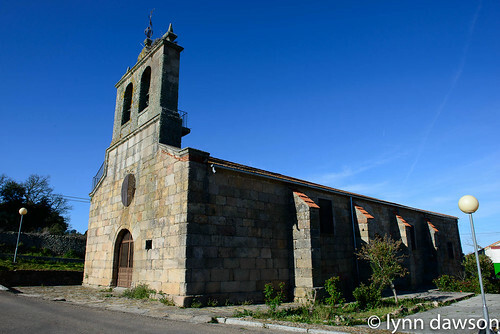 Church in Fuentes de Onoro. Masséna’s main aim was still to secure Fuentes de Oñoro. He sent forward massed columns of infantry from Ferey’s division. The village, filled with low stone walls, provided excellent cover for the British line infantry and skirmishers, while the French were severely restricted in the little narrow streets. At first, the French had some success, wiping out two companies of the 79th Highland Regiment and killing the regiment’s commander, Lieutenant-Colonel Philips Cameron. But a counterattack chased Ferey’s men out of the town. launched a second attack on the town. This time, it was led by three battalions of grenadiers. Again, the British fell back as Drouet threw in about half of the battalions from both Conroux and Claparède’s divisions, managing to take almost the entire town. In response, Wellington counterattacked with units from the 1st and 3rd Divisions, plus the Portuguese 6th Caçadores and led by the 88th Connaught Rangers. This broke Drouet’s attack, and the tide began to turn. Low on ammunition, the French had to resort to the bayonet in a futile attempt to drive the British back. One party of 100 grenadiers was trapped in a tight spot and killed. Facing lethal volleys, the French retreated back to the Dos Casas, leaving their casualties behind. By sunset, French morale had plummeted and many companies were down to 40% strength. The French artillery tried to bombard the new British line into submission, but for once they were outgunned by Wellington’s cannons. Finally, with their ammunition dangerously low, the French attacks came to an end. Wellington’s men entrenched during the evening. 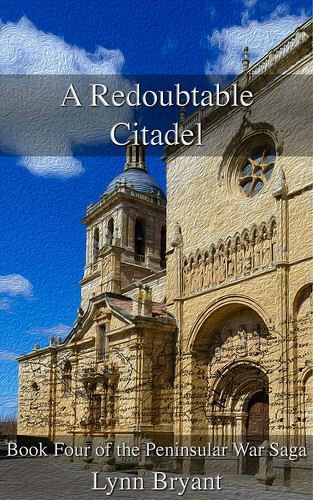 After spending the next three days parading before the British position, Masséna gave up the attempt and retreated to Ciudad Rodrigo, furious with his subordinates whose refusal to obey orders at crucial moments had turned a potential victory into a defeat which would spell the end of his command in the Peninsula. The battle of Fuentes d’Onoro was not claimed by Wellington as one of his great victories. He had beaten back the French and was able to continue his blockade of Almeida. 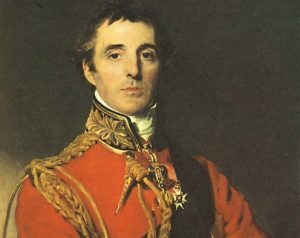 However, he acknowledged how dangerous the situation had been, saying later, “If Boney had been there, we should have been beat.” Wellington considered that he had unnecessarily extended his line, putting the 7th Division and Light Division in danger. We visited Fuentes d’Onoro earlier this year. Despite being surrounded by modern roads it is surprisingly easy to see the layout of the very extended battlefield. 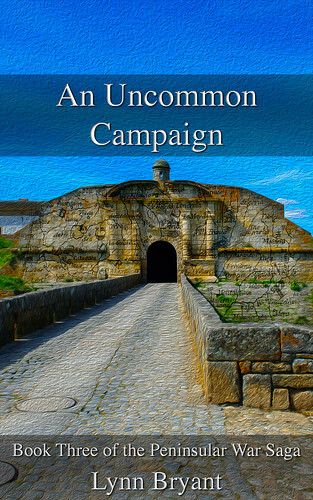 The third book of the Peninsular War saga, “An Uncommon Campaign” is centred around the battle, and in particular the Light Division part in it, since by now Paul van Daan’s 110th are fighting as part of Wellington’s elite division. 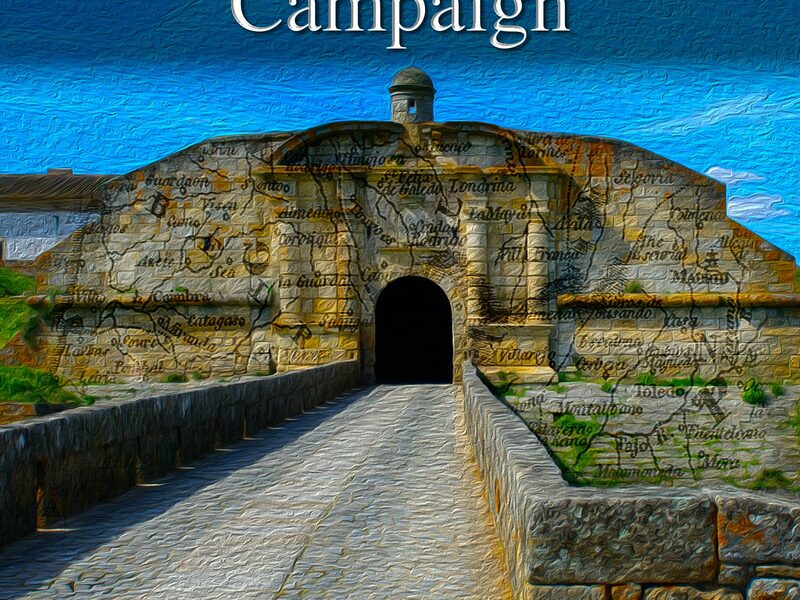 The first four books in the Peninsular War Saga are available in both Kindle and paperback editions on Amazon.